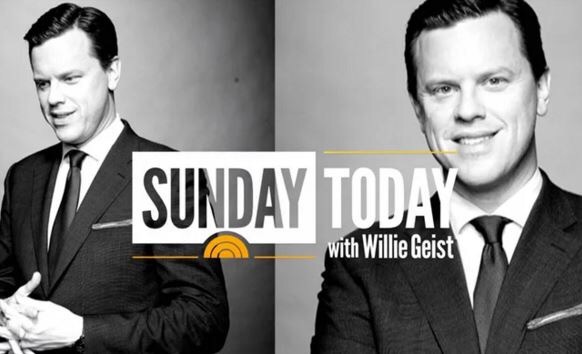 NBC has announced they are launching Sunday Today with Willie Geist, a reboot of the network’s Sunday morning programming that is more in line with the ratings dominant CBS Sunday Morning. The long-expected announcement was made on Thursday during NBC’s Upfront presentation. Upfronts are annual presentations by the networks to the media and advertisers to show off planned programming and make sales pitches. The move comes as Weekend Today has been experiencing change with its personalities. Lester Holt left to anchor NBC Nightly News and Erica Hill recently left to focus more on MSNBC anchoring. It also comes as a rare opportunity presents itself. CBS Sunday Morning, led by Charles Osgood, has been the dominant program on Sunday mornings and has been setting personal records. However, Osgood is going on medical leave and CBS is looking for an eventual successor. Geist’s new show could present an opportunity to peel away some of those viewers. Many of those viewers then lead into CBS’s Face the Nation, boosting that program’s numbers. Geist’s father, Bill Geist, is a correspondent on CBS Sunday Morning. Giest has been heavily involved in the planning of the show, but he is not stepping away from any of his other duties. He will continue to contribute to Morning Joe and weekend Today. The first show will air on April 17 and features a behind-the-scenes look at the stage production, Hamilton.